Hundreds upon hundreds of artists have taken the trip down to Worthy Farm entertain the mud-laden masses over the years. With Glastonbury now the institution it's grown to be, it means that the reputations of the world's biggest artists (with sometimes the world's biggest egos) will never precede the festival itself. Now, I'm positive that whilst it's undoubtedly a huge honour when Emily and Michael Eavis come-a-knockin' for the artists' signatures, it's also an immensely alluring challenge being given the opportunity to stamp their mark and become a part of the festival's illustrious mythology. Luckily since the BBC now provides detailed coverage of the entire festival and its abundance of talent, we can bask in the glory of each and every performance, but this hasn't always been the case. This is why we've decided to list our greatest ever Glastonbury performances, in no specific order, for those who rose to the occasion, furthering both their own and the festival's legacy. Iggy and The Stooges, 2007. At the ripe old age of 60, it was unbelievably Iggy's first appearance at the beloved festival. You wouldn't have thought it considering the effervescent, sweat-drenched icon had the adoring crowd in the palm of his hand, whilst he and The Stooges powered through punk-rock classics '1969', 'Funhouse', and 'I Wanna Be Your Dog'. They weren't in his palm for long, however, as Iggy invited the first few rows of the crowd to invade the stage during 'No Fun', sparking headaches amongst security, and rapture for those in attendance. 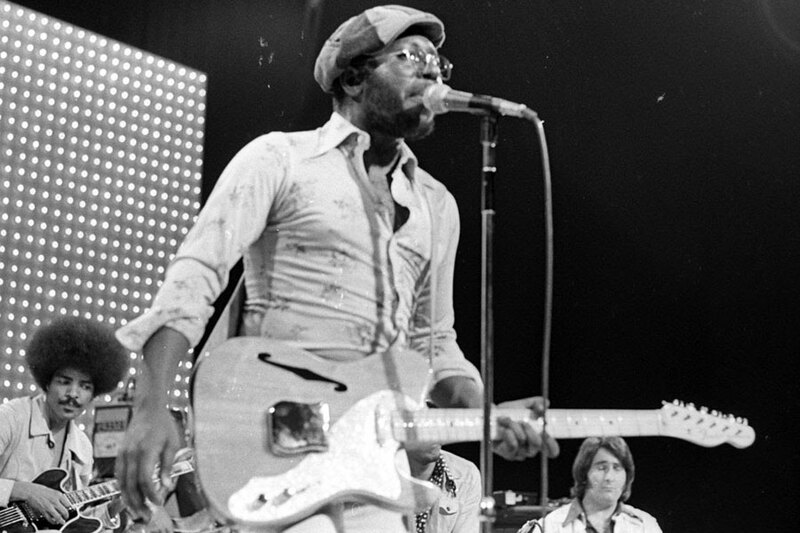 One of the first appointments to prove that Glastonbury wasn't simply a rock orientated festival, Curtis Mayfield brought his joyous soul music to Somerset against the surprisingly sunny backdrop. 'Move On Up', and 'Power To The People' went down a treat, and the neighbouring cows escaped during his set so it seemed they were also keen to see what they were missing out on. With the mud rising above the knee, swamping everyone's wellington boots, they'd be forgiven for not wanting to stand at the headlining stage (what is now known as the Pyramid Stage) waiting to catch the Bristolian's ethereal trip-hop stylings. Cigarette lit, and the mood set, Beth Gibbons kept her cool and tenderly delivered magnum opus 'Glory Box' amidst their headline set. A special moment for all involved. An opportunity for Bernard Sumner and Peter Hook to finally step out of the shadow of former-band Joy Division, the Mancunian's grabbed the chance with both hands, delivering a blistering new-wave set to a crowd largely consisting of hippies and rockers. Battling the frosty crowd's eagerness to see the following co-headliners Hawkwind, overcompensating with alcohol to settle the nerves prior to the performance isn't usually the best course of action, especially when you eventually stumble to the floor mid-set. Regardless, the 3,000-strong crowd finally warmed to the band, and the performance has subsequently gone down in Glastonbury folklore. Initially a controversial appointment – especially with a certain Gallagher brother – Jay-Z showed Glastonbury why he's the greatest rapper on the planet with the first headline appearance from a hip-hop artist in the festival's 38-year history. Opening the set with a medley of Oasis' 'Wonderwall' and '99 Problems', it was a proverbial middle-finger to the critics, one of them being Noel Gallagher who himself was widely criticised for being out of touch. Jay-Z proved that he was, and why hip-hop has as much prevalence at Glastonbury as traditional guitar-music. Speaking of Noel Gallagher, he was no stranger to the coveted headline slot himself. Oasis were the biggest band in the UK back in 1995, and the brothers Gallagher took to the biggest festival in the UK like a Glastonbury reveller to a sludgy field of mud. Bad analogies aside, Liam Gallagher was in typically dominant fashion, blasting out live debuts of 'Hello', 'Roll With It, and 'Morning Glory'. Although headlining yet again in 2004, the band failed to reach these heady heights. 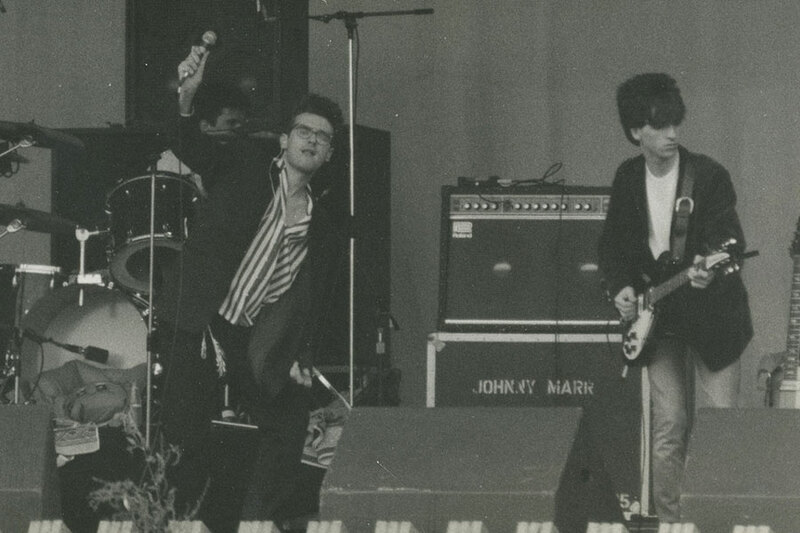 Synonymous with throwback hippies in the earliest incarnations of the Somerset festival, it was a surprise when The Smiths were announced to play in amongst a lineup consisting of Joan Baez, Fairport Convention, and Elvis Costello. Considered somewhat of an 'urban' band at the time, they seemed out of their depth until a fervent crowd-member instigated a stage invasion, transforming it into a fully-fledged Smiths gig. Arguably one of the turning points of the festival's ideology, as artists outside of the rock-folk spectrum became commonplace in the years after. Whilst no strangers to an impressive festival headline performance, it was their Glastonbury set that cemented the Canadians as one of the greatest bands of our time. Exuberant visuals, costumes, and their extensive catalogue of tracks that the crowd instinctively knew word-for-word all contributed to one of the most dazzling headline sets Glastonbury had seen for years. Having brought the disco to the Pyramid Stage with 'Reflektor' and 'Sprawl II', Arcade Fire sparks a sing-a-long with 'Wake Up' which could no doubt be heard in the nearby town. Another Canadian who's headline performance was long overdue, having pulled-out in 1997 due to an alleged sliced finger whilst preparing a ham sandwich, and he most certainly did not disappoint. 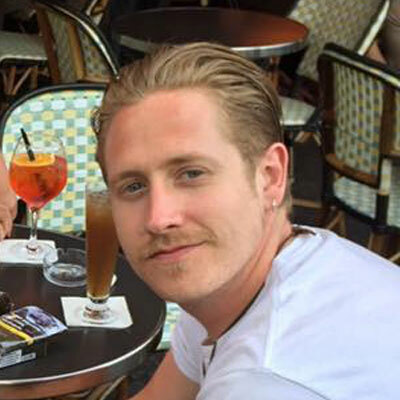 Young has never been the kind of artist to appease the general festival-goer (akin to his peer Bob Dylan), but pulled out the stops with an extensive setlist of classics like 'Hey Hey, My My', 'Heart Of Gold', and 'Rockin' In The Free World' complete with a number of extended outros and additional choruses which prompted the spellbound crowd to continually chant his name on departure. A nod to The Beatles with a cover of 'A Day In The Life' acted as his encore, and it was certainly a day to remember on Worthy Farm. Ian Dury and The Blockheads, 1985. 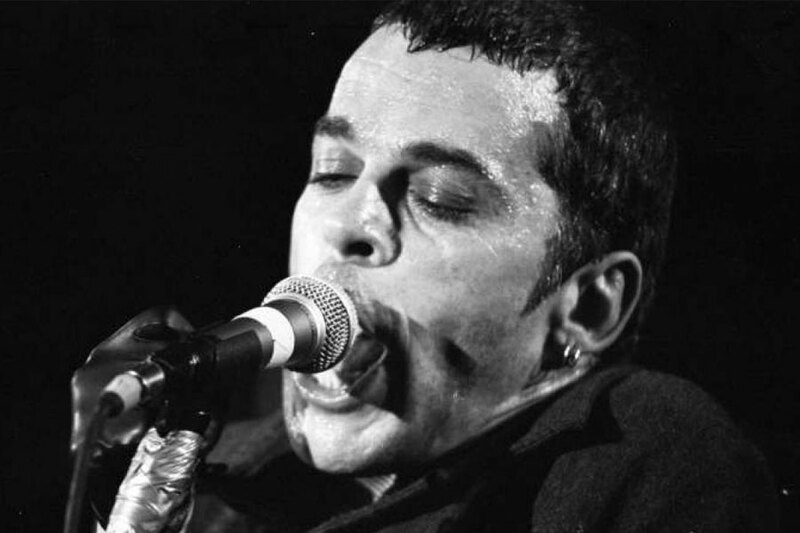 In true tradition, mud was the order of the day when Ian Dury took the stage in 1985. Then the mud took to the stage, with the saturated crowds flinging it in the band's direction. As you can imagine, it didn't go down well and Dury swiftly stormed off-stage for a few moments. With the crowd then proceeding to stroke Dury's ego having immediately acknowledging their wrong-doings, Dury returned to perform a typically cheeky rendition of 'Hit Me With Your Rhythm Stick', and parity was restored. All you need is mud. As an almost last-minute replacement for The Stone Roses who had to pull out due to guitarist John Squire breaking his collarbone. Jarvis Cocker's Britpop titans truly rose to the occasion, becoming a new figure in Glastonbury folklore, and recognising the band's fortune in finding themselves at the top of the bill considering they weren't even the first-choice replacement. What is retrospectively regarded as one of Glastonbury's finest moments, it was a common man playing to the 'common people' that has proved a source of inspiration for a number of British bands today. You could argue that the emergence of rave-culture in the late 1980's saved Glastonbury festival from relative obscurity, so it was fitting that the Madchester loonies were bestowed the honour of twisting everyone's melons. 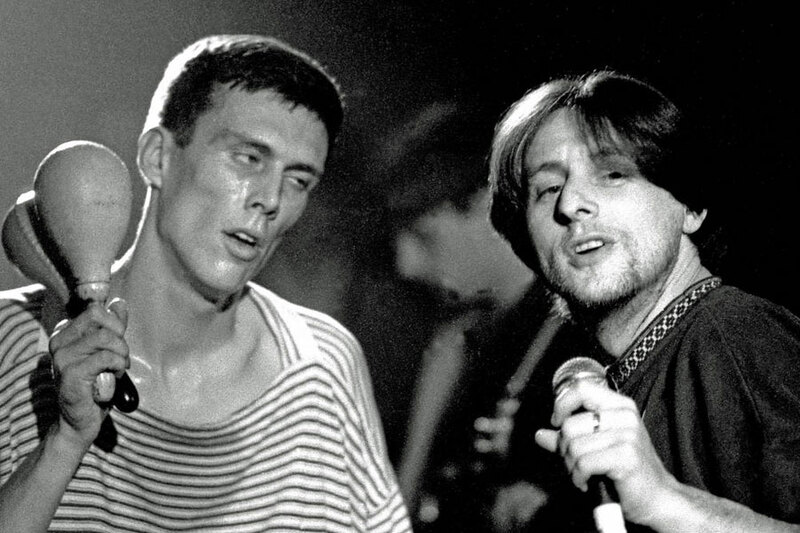 Famed for their unabashedly hedonistic approach to making music, performing live, and well, most things really, Shaun Ryder, Bez, and the Mondays brought the party to Worthy Farm. With 'Step On' already a huge hit, it was arguably the peak in the band's powers and the jewel in the crown of the rave nation. Yet another seminal moment which contributed to the transformation of the Glastonbury we know today, was the smashing Orbital set that took place on the Other Stage in '94. It proved so popular that the following year, Michael Eavis introduced a Dance Tent. Now Glastonbury has an entire village dedicated to dance music. Nearly 40,000 eager ravers made their way to the second stage for one of the most compelling dance performances you're likely to see to this day, paving the way for the likes of Fat Boy Slim and The Chemical Brothers to headline in subsequent years. If her other-half could impress the temporary residents of Worthy Farm, then surely the world's biggest pop-star with hordes of adoring fans across the globe could set Glastonbury alight? Yes, she could, and yes she did. Whilst pregnant with Blue Ivy, no less. Belting out a plethora of hits like 'Crazy In Love' and "Single Ladies', Beyonce couldn't put a foot wrong, and even threw a Destiny's Child medley in there for good measure. Ending her heavenly performance with 'Halo' was rather fitting, I'm sure you'll agree. The man in black meets the Sunday legend slot. It had the hallmarks of a memorable moment before it even began. Backed by his band that were dressed in similarly noir garments, Cash displayed his standard swagger through legendary tracks 'Folsom Prison Blues, 'Big River', and 'A Boy Named Sue'. This was some years before his Rick Rubin-assisted renaissance, which further proved that Cash had the credos to overwhelm even the least-enthusiastic of country music fans. The remarkable musician brought his remarkable smile to Glastonbury in 2010. Meandering throughout the heart-wrenching to the hip-swinging hits with aplomb, the Motown legend bedazzled the bedraggled Sunday night crowds with 'Superstition', 'Higher Ground', and 'Living For The City' amongst other classics from his unrivalled repertoire. Introducing Michael Eavis to the stage for the encore of 'Happy Birthday' was the ideal way to toast the festival's 40th anniversary. When the Sunday of Glastonbury rolls around and you've been battling the torrential rain, the rising mud, and the excessive cider consumption, it's sometimes difficult to muster the enthusiasm required for the final 'hurrah'. Providing the perfect pick-me-up with her cheerful anecdotes, bouncy nature, and sparkle in her eye, she lifted the spirits of everyone within a visible distance. To date, she drew the biggest crowd Glastonbury has ever seen for one performer, surpassing the Rolling Stones' attendance from the previous year. Frustratingly, Cohen wouldn't allow the BBC to film this performance, but on the other hand, it only reinforced the unique and intimate nature of his set, with many claiming it to be the best Glastonbury performance in the festival's tenure. 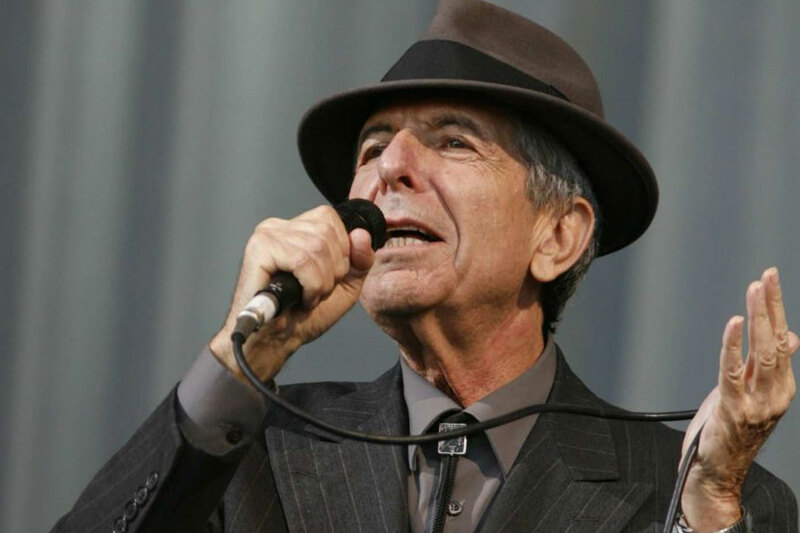 Rousing renditions of his poetic classics 'Suzanne', 'Who By Fire', and 'Hallelujah' had Worthy Farm in awe, and in the case of the latter song each and every line was graciously sung right back at Cohen. A truly inspiration moment in history, from a truly inspirational artist. Radiohead were already well on their way to stratospheric success after the recent release of OK Computer, but taking to the Pyramid Stage saw them firmly married into the pantheon of legendary rock 'n' roll artists. In the years leading up to it, Britpop had taken precedence in regards to headline acts at Glastonbury, but Radiohead's brand of intellectual and ethereal rock blew the minds of those lucky enough to be in attendance, crucially to a crowd that was not exclusively their own. Equal parts spine-tingling and nerve-shredding, it was a sensory overload with the delicate 'High and Dry' affecting the audience as much as the likes of thundering 'Paranoid Android'. The Oxford-lot returned to headline in both 2003 and 2017, but the year of 1997 stands head and shoulders above. A return to Worthy Farm as the exalted chameleon of contemporary music in 2000, having first appeared as a relative unknown back in 1971. And what a return it was. Sauntering through his glut of songs that are embedded so deeply in pop-culture, Bowie ensured that the 30th anniversary would live long in our memories, playing hits from the Ziggy Stardust through to the 'Let's Dance' king-of-pop era. Michael Eavis' has stated that in his eyes, it was Glastonbury's finest ever moment. We couldn't agree more.